The Cowboys are on a recruiting hot streak and now have picked up their 14th verbal commitment in 6’5″, 200-pound wide receiver Parker Dumas out of Snoqualmie (WA) Mount Si High School. 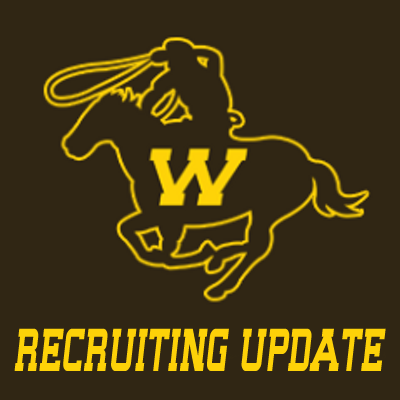 Dumas visited Laramie officially this past weekend and on Monday pulled the trigger for Wyoming. He was offered by the staff clear back on March 5th. Outside Wyoming, he also held a Montana offer. The 6’5″ receiver has been compared to current Cowboy receiver Jake Maulhardt in style and size. He was recruited to Wyoming by defensive line coach Pete Kaligis. Dumas was rated as a 3-star prospect per Rivals.